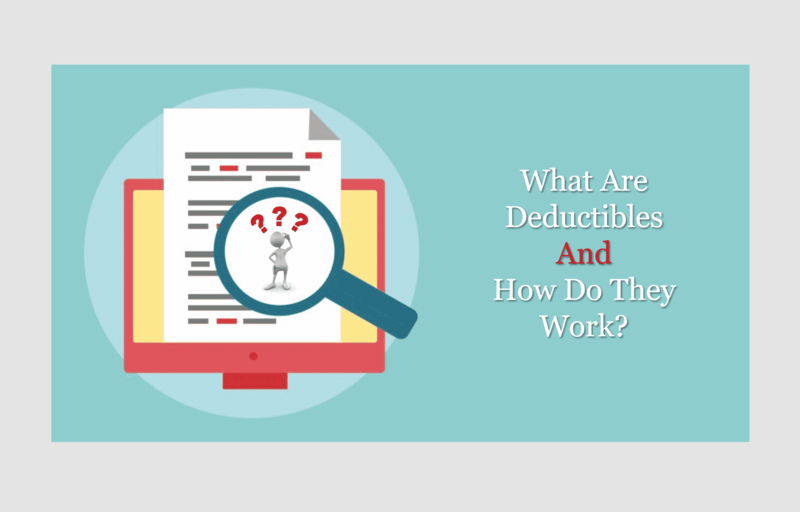 BlogHome » Health Insurance Blog » What Are Deductibles And How Do They Work? Medicare health insurance plans can seem complicated. Take deductibles, for example. They’re important to understand for your pocketbook, but do you know how they work? To get you started, here are answers to some common questions we get from our clients. A deductible is the amount you pay for health care services each year before your Medicare plan starts to pay. For example, if you have a $500 deductible, you pay the first $500 of the services you need. Prescription medications typically have their own separate deductible. Be sure your prescriptions are covered by your plan. After you meet your Rx deductible, you will only have to pay your copay for covered medications. 2. What happens after I meet the deductible? Once you have met your deductible, you usually pay only a copay or coinsurance for covered services. Copay is a fixed rate, for example $20 for an office visit. Coinsurance is a percentage of the cost of care. For example, if your coinsurance is 80/20, you’ll pay 20 percent of the costs and your Medicare plan pays the rest. 3. Does the deductible start over each year? Yes. After you’ve met your deductible for the year, it does not reset until the following plan year. 4. Do all health care services apply to my deductible? Not always. Some plans cover preventive services without needing to meet your deductible. Meaning, you don’t pay anything at the time you get those services because they are paid out of your monthly premium. Since you don’t have an out-of-pocket charge, those services won’t count toward meeting your deductible. Moreover, if you receive care that isn’t covered by your Medicare plan, it often won’t count toward your deductible. This would include such things as cosmetic procedures or seeing a provider who isn’t in your plan’s network. 5. Is a Medicare deductible different from other types of deductibles? Yes. Unlike auto, renters or homeowner insurance where you don’t get services until you pay your deductible, many Medicare plans cover the cost of some benefits before you meet the deductible. For example, your plan may cover the cost of annual physicals, many preventive health screenings, and some disease management care before the deductible is met. 6. What are the pros and cons of a high or low deductible? Typically, the higher the plan’s deductible, the lower the monthly premium. So if you’re willing to pay more when you need care, you can choose a higher deductible to reduce the amount you pay each month. Conversely, the lower the plan’s deductible, the higher the monthly premium. So you’ll pay more each month, but your plan will start to share the costs sooner because you’ll reach your deductible faster. Remember: each plan is different, so it is important to review your coverage carefully to ensure you’re on the right plan that works best for you.